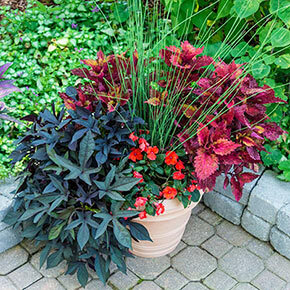 Add color to hanging baskets, containers or water gardens with this six-plant collection. This collection includes two Indian Summer Coleus, two Hot Coral Sunpatiens, one Blue Arrows Juncus and one Blackie Sweet Potato Vine. 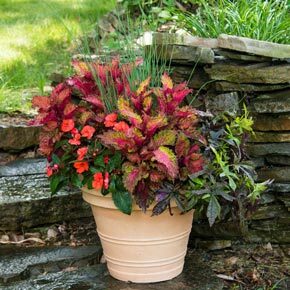 Six 3" pots.